Chad Michael Murray, Where Are You? When Lucas Scott and Peyton Sawyer Scott drove out of Tree Hill and out of our lives, my interest in One Tree Hill went down to zero. I came for Chad Michael Murray and I left for him, too. Earlier this month, the news broke that our favorite duo may return to the show for a few episodes this season if schedules can be worked out. Perhaps that scheduling has to do with the fact that CMM might be up for an even bigger role; one that would have him playing alongside a certain Captain Jack. Many television viewers know that the BBC series Torchwood is making its US debut on the Starz channel next summer. 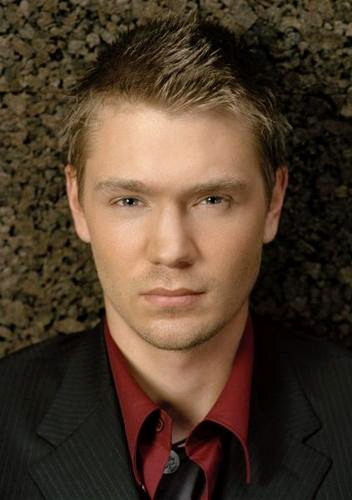 What they might not know is that one of the new characters joining the cast may be played by CMM. Rex Matheson, a new character for this season, is a CIA agent who is described as being funny and tough, with a desire to make any impression he can; whether that be good or bad. Some may say the role was written with CMM in mind, so perhaps that's why he's a front-runner for the part along with Enver Gjokaj (Dollhouse). The question then becomes, if CMM does win the role, how will he do with the much-reduced Torchwood cast of characters? As we closed out the “Children of Earth” arc at the end of last season, the team was not only down to two members, but also we're left pondering “where do we go from here?” Personally, after the heartbreak that “Children of Earth” left me with, I was pretty much done with the show. I couldn't see how they could possibly take me anywhere else that I would willingly want to go. With the news that the show was moving to Starz, my interest was not heightened. However, two new characters (Rex Matheson and CIA Watch Analyst Esther Katusi) are set to double the current team count and give a whole new dynamic. With the show trying to go more international, the potential is there for great stories, but it's going to be an uphill battle to regain viewers who have sworn off the show after last season. Will I give the new Torchwood a chance? Chad Michael Murray would definitely sweeten the pot. Do I think he has the acting ability to play off John Barrowman consistently? That's debatable. What I do know is that I'll be monitoring the casting news to see if this will become reality. In the meantime, I'll be crossing my fingers that the Scott brothers will soon be reunited in a North Carolina town. My television screen has definitely been lacking without a weekly dose of CMM.